A second law firm will join a major accounting company and a big media company as tenants at the 20-story Boro Tower, part of developers The Meridian Group and Rockefeller Group's The Boro development. WASHINGTON — A second law firm will join a major accounting company and a big media company as tenants at the 20-story Boro Tower. The building is part of developers The Meridian Group and Rockefeller Group’s The Boro development, a multiphase project adjacent to the Greensboro Metro stop. Womble Bond Dickenson has signed a 24,000-square-foot lease for the building’s entire 15th floor and will relocate from its current Leesburg Pike location about a mile away in mid-2019. About 40 of the firm’s attorneys and staff will make the move, with room for the firm to expand. With the Womble Bond Dickenson lease, Boro Tower is now 68 percent preleased. The 437,00-square foot tower includes a rooftop terrace, fitness center, locker rooms and bike storage and 10,000 square feet of ground level retail. 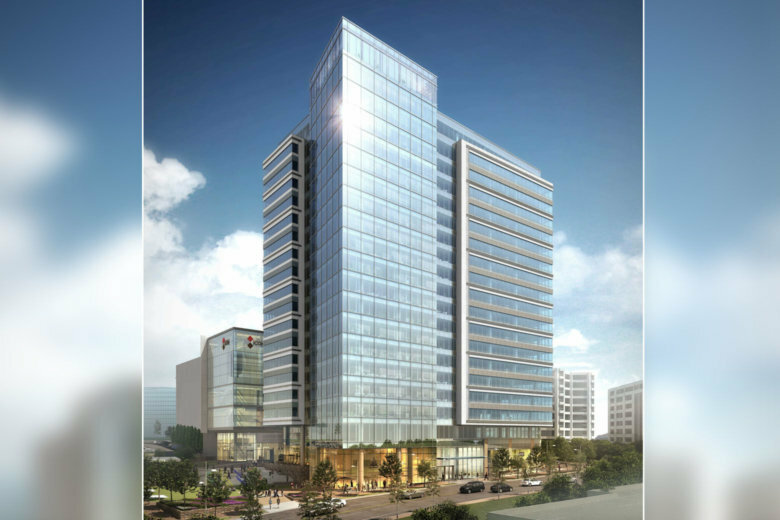 Last month, tax and audit advisory firm KPMG LLP signed a lease to relocate its Tysons Corner headquarters to The Boro by fall of 2019, taking up to seven floors. Under a $1 million Virginia grant, KPMG will also create 500 new jobs over the course of three years. KPMG has almost 1,900 employees at its current Tysons headquarters. Other big tenants will be law firm Hogan Lovells, leasing the building’s 16th and 17th floors, and Tegna, the broadcasting company created when Gannet split in two three years ago, will take two floors. The entire 15-acre The Boro development will also include residential units, a total of 350,000 square feet of retail, a hotel, a Whole Foods Market and a 14-screen ShowPlace ICON theater. The developers also recently announced a list of first restaurants to sign leases for space at The Boro.